We like to see exterior factory photographs – it helps with identifying certain areas and our understanding of the site itself. Photos are quite rare – colour ones really rare. 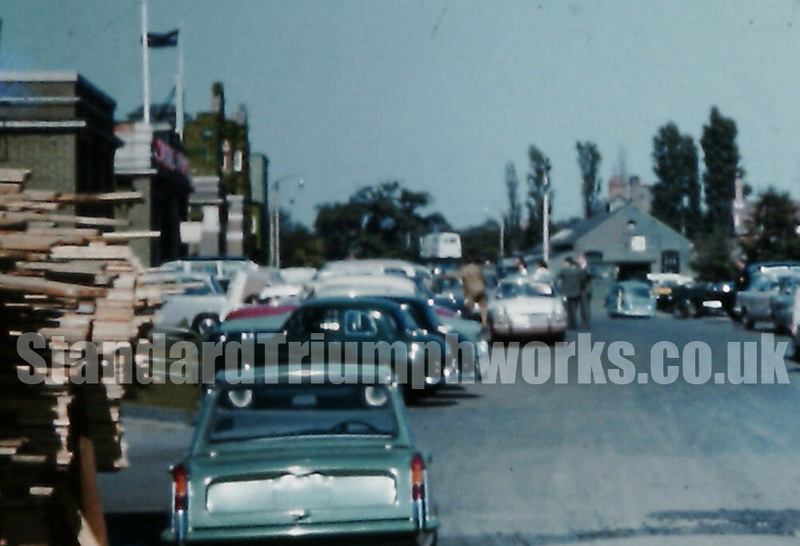 This photo dates from 1959 and over on the left are the row of early Standard buildings including the facade fronted building where finished cars first emerged. This is where the flags are. (There is a great film of the cars coming out of this exit on this site). Also of the left you can make out the tops of Ivy Cottage. The rows of cars have just been finished. Some have export spec orange lights. There are a few Heralds in the distance, indeed the Lichfield Green saloon has the unique 1959-style bootlid. In the distance is either the Telephone exchange or the surgery. (It would be great to know which – if you can help please get in touch). Over to the right side would be the railway line (not seen) which runs parallel to the road to which the photographer stands. Close up (of the left half of the photo) offers more detail. Ivy Cottage, wood for crates and pallets, early colours in the Heralds: a Coffee and White duo-tone and an Alpine Mauve – even an Atlas van or two in the distance. 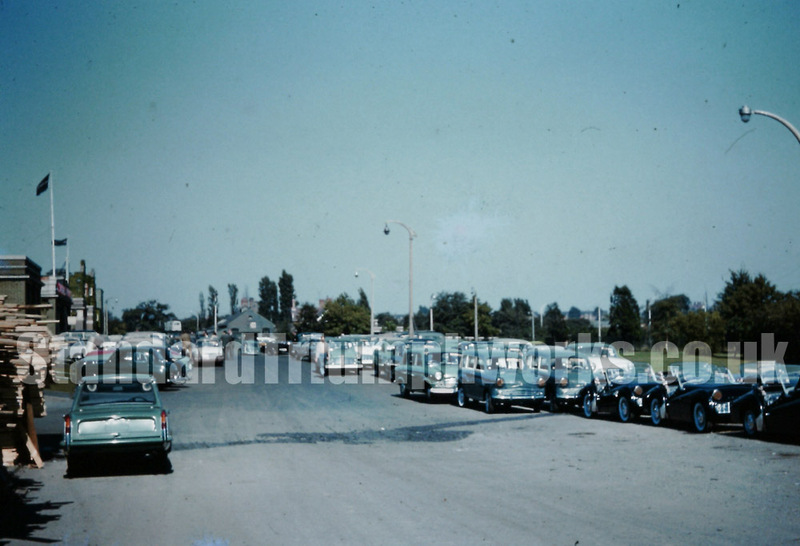 All the cars here would be new, which shows the variation of vehicles that were leaving the track in 1959.